Crafty Bikyclist: Its a Hippo! 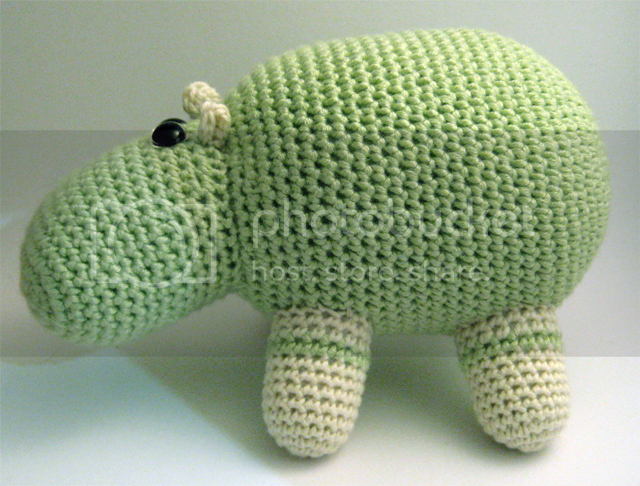 Its a pretty little hippo. Lovely soft bamboo wool. 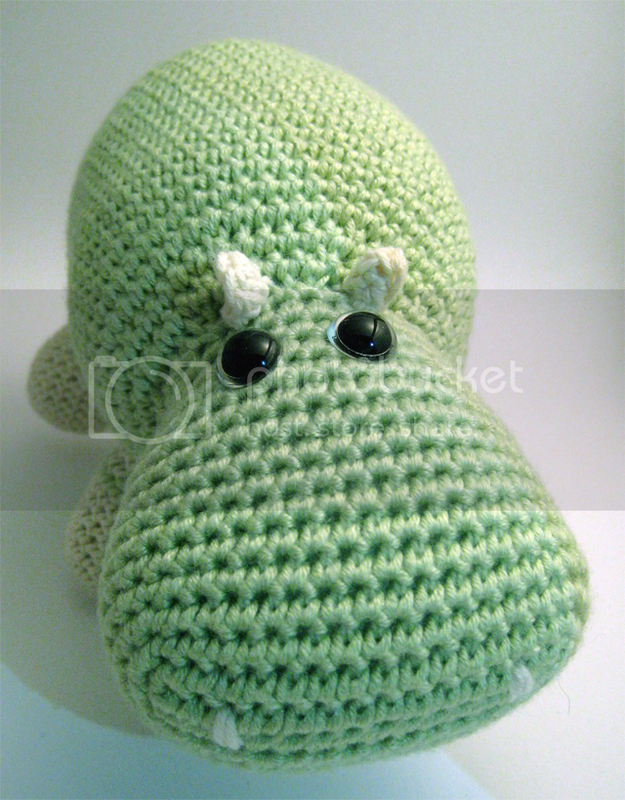 made with a 3.75mm hook for the green and a 3mm for the cream wool. Then add two saftey eyes, and fibre fill.